The Spare Room. Photo by Skandia Shafer. LOS ANGELES – While living in London, I visited Los Angeles often enough that I could simply jump into a rental car at the airport and drive around without a map or GPS. It was always a dream to live in LA, and that became a reality three years ago when my fiancé and I left Brooklyn for a job she took in Studio City. Moving was relatively easy, given that I can sell my spirits in most major cities and that LA has so many top bars and restaurants. Here are my favorites, along with some of the city's best diversions. Co-founded by some of the best in the game (Eric Alperin, Cedd Moses, Sasha Petraske), The Varnish does very solid craft cocktails made by bartenders with very solid technique. It's a small space, so expect a small wait that is absolutely worth it. 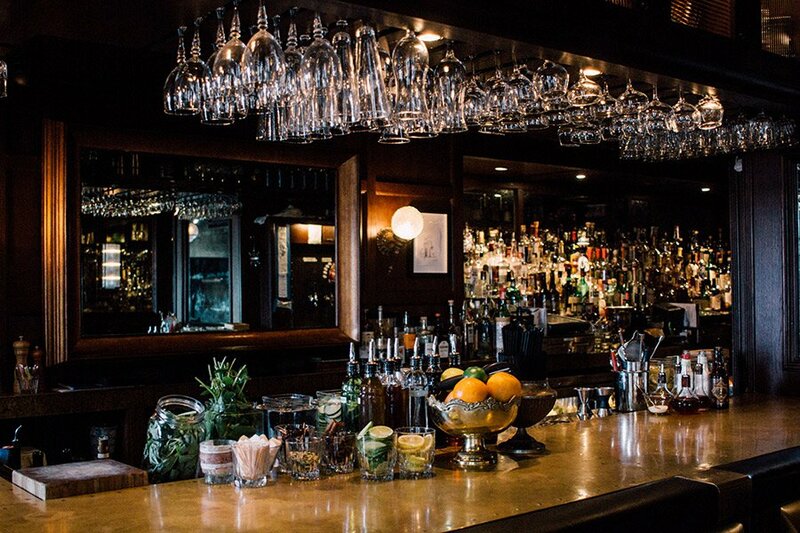 One of the coolest bars in LA, located inside The Hollywood Roosevelt Hotel, has amazing cocktails from one of my favorite bartenders, Yael Vengroff, as well as two of the sexiest bowling lanes in the country. The owners are obsessed with good music and frequently host great DJs. One of the most talented and progressive bartenders I've ever met is Alex Day, who, along with the team at Proprietors LLC, put together the cocktail equivalent of experiential dining at the Walker Inn. 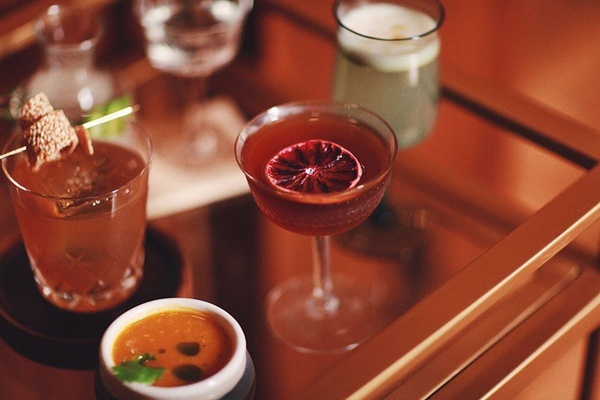 There are seasonal cocktail tasting menus and great bar snacks — it's a taste of where the future of drinking is going. A genuine ground-up oyster-shell pétanque court sits aside a classic Italian deli where you can find cured meats, proper espresso, and cocktails from big-name bartender Eric Alperin. An orange accent. Photo courtesy of The Walker Inn. The writing on the wall says it all. Photo courtesy of Bar Clacson. A Cuba-themed speakeasy with an excellent rum selection, a hidden cigar bar, Latin-style burlesque, and a live salsa band. Make a reservation online beforehand, mind the dress code, and prepare for a great time. Hunting lodge décor, classic and contemporary cocktails, and a massive whiskey selection. They're sure to have your favorites and a whole lot more. For several years, bartender Pablo Moix has been obsessed with amassing one of the greatest collections of spirits on the planet, which he's made available to drink at his latest cocktail haven in Venice. The bar has a wonderful list of classic cocktails and a relaxed lounge (no cell phones allowed) where geeks can spend their entire savings on rare spirits. It's behind , a fantastic place for dinner and cocktails. They seek out the best of the best when it comes to great local bands, and they're one of the few live music venues I have ever been to where cocktails have as much place at the bar as beer. 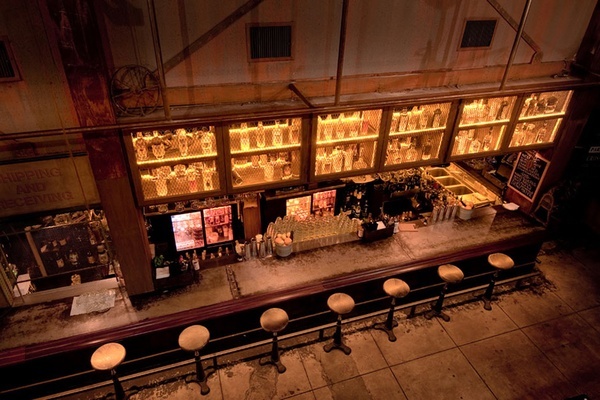 Their back bar, R&D, is dedicated to guest bartenders and has hosted most of the world's best bartending talent. The bar at Harvard and Stone. Photo courtesy of Harvard and Stone. 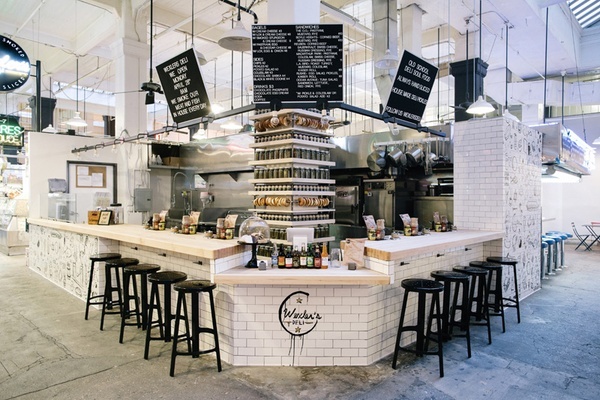 Wexler's Deli in Grand Central Market. Photo courtesy of Wexler's Deli. Because you've got to do something when you're not in a bar or restaurant. 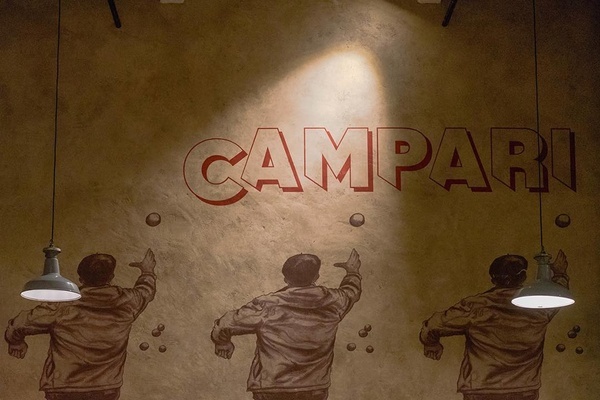 Italian-style comfort food, rock and roll, a bonafide juke box, and a fantastic bar program run by Eric Tecosky are a few reasons why this place is still going after roughly 25 years. That, and the really good pizza. My favorite live music venue. Bring cheese and wine and watch the sunset before musicians take the stage. They put on great collaborations and have a penchant for the unexpected. I've seen everyone from Sting and Peter Gabriel to Yo Yo Ma and the Silk Road Ensemble to Sigur Rós and Block Party. There's so much to choose from, so decide wisely. Eggslut is great, but expect a line. Madcapra has the best falafel. Wexler's Deli does excellent pastrami and an even better bagels with lox. Belcampo Meat Company combines restaurant and retail in one. Popular for its selection and free admission, The Broad is now a landmark of serious LA culture. Check out the Infinity Room, a mirror chamber with an endless LED light display. You'll find all types of art from some of the world's best artists. Spend the whole day (there's an outdoor area for sunshine) and the $15 ticket will feel like a steal. 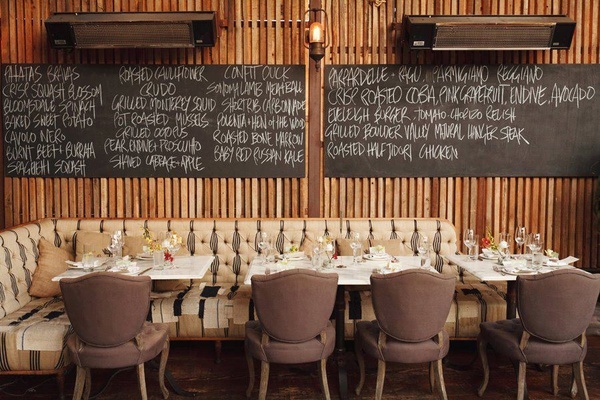 A seating situation at The Eveleigh. Photo courtesy of The Eveleigh. This town knows how to soak up — er, balance — its alcohol in very tasty ways. Rustic, comfortable, and not pretentious — my home away from home when I want a delicious bite and a good drink. I can come most nights without a reservation and fit in with the crowd, whether I'm wearing a tux or dirty jeans and a T-shirt. The open-air atmosphere created by the retractable roof is always relaxing. Ingredient-driven Italian food, great service, stellar wine selection, and an awesome cocktail menu by Julian Cox. Make a reservation at least a week in advance. Curtis Stone's newest venture is named after his grandmother and has an in-house butcher shop that supplies the restaurant and also sells to the public. Food is tasting menu only and the low-waste cocktail program from Mitch Bushell turns throwaway items into drink components. A meat-centric restaurant with an awesome selection of cured meats and charcuterie (and options for vegetarians as well). Try back bacon, 'nduja, and guanciale. Oh, and did I mention they sell a 96 oz. ribeye? The osteria puts out some of LA's best Italian food, and the attached pizzeria is no joke either. A+ wine menu and rotating seasonal food options means Mozza never gets old. A wonderful French bistro from Ludo Lefebvre serving high-quality versions of French bistro classics like Burgundy escargot, steak frites, mussels marinière, and omelets cooked to perfection. 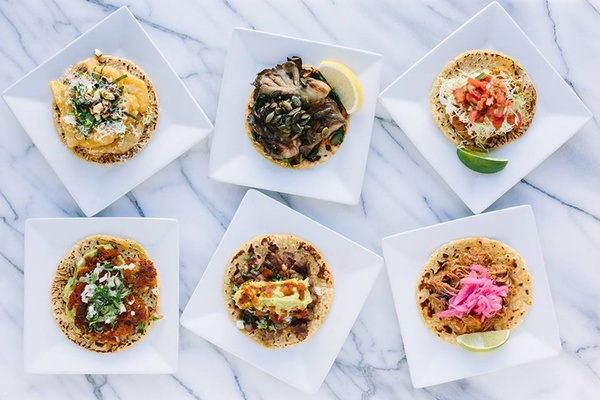 My go-to spot for tacos and tequila in Los Angeles. A taco a day (almost). Photo courtesy of Petty Cash. Southern California vibes. Photo courtesy of Winsome. 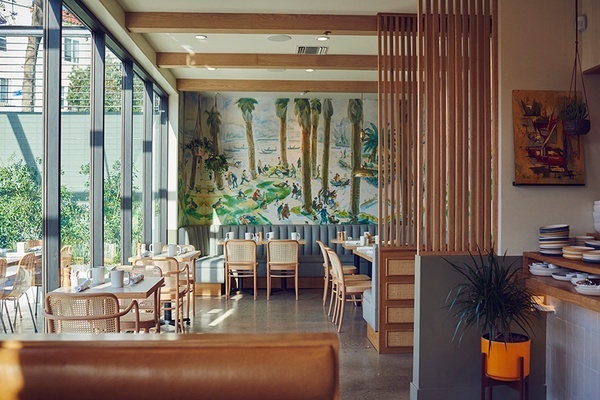 The menu pays homage to the flavors of Southern California with really, really spectacular brunch. Save room for coffee and pastries after your meal — they're phenomenal. You've probably heard great things about this game-changing opening in Los Angeles. The food is better than you'd expect. Truly a can't-miss experience, if you can get in. A very LA experience, in a good way. Order breakfast or lunch at the counter, take a number, and eat on the amazing outdoor patio. Make sure to try the pastries. The brick-and-mortar location of this former mobile coffee cart makes a great java and has an impressive pastry selection. My favorite coffee in town comes from a taco bar. Enough said. Hangover cure: outdoor seating, coffee, tacos. 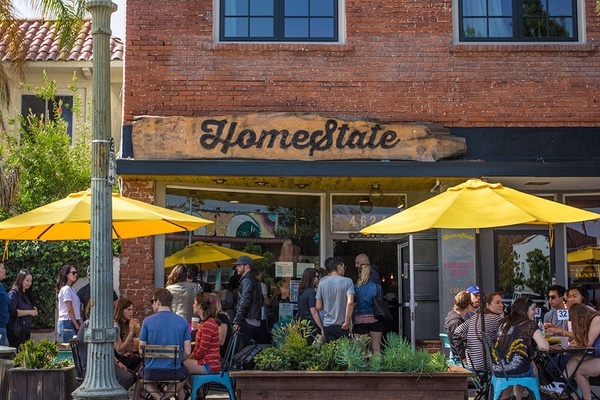 Photo courtesy of HomeState. Fourth meal material. 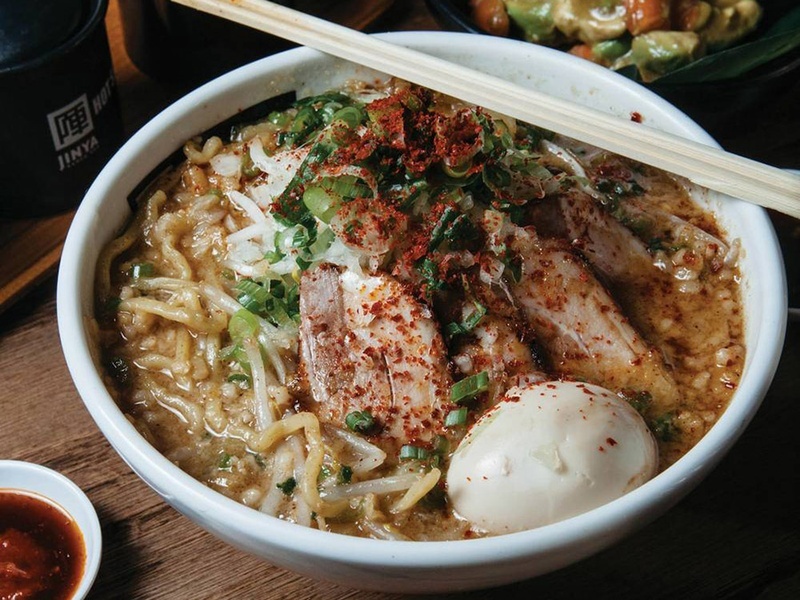 Photo courtesy of Jinya Ramen Bar. Everything I've tried here I've loved. Spicy chicken ramen is delicious and green tea mochi is a hit as well. Find some of the city's best no-holds-barred southern Thai cooking among the endless selection of curries on the massive menu. Upscale Korean BBQ means marinated ribs (galbi) are on order, but there are other items worth trying, like spicy cod and brisket. A great sushi spot that goes beyond expectations. In a city with no shortage of sushi joints, the food and service here stands out. Simon Ford is the co-founder of , makers of Fords Gin, Caña Brava Rum, Tequila Cabeza, and Aylesbury Duck Vodka. Follow him on and . He travels for culture, food, and drinking rituals.